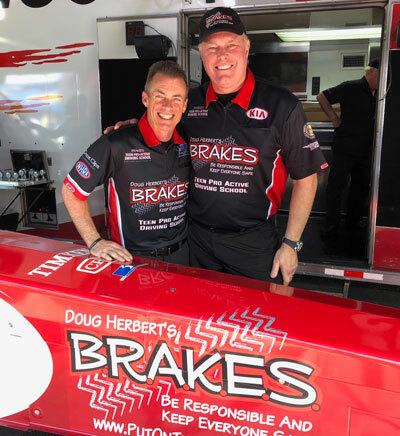 Clay Millican and Doug Herbert might seem to be the most unlikely of partners after sparring with one another early in their Top Fuel careers, but their shared passion for teen safe driving has brought them together and this weekend fans can see evidence of that on the side of Millican’s dragster. Any time you see Clay Millican and Doug Herbert together, you have to chuckle, remembering their infamous shoving match at the 2002 Reading event, with 6-foot-4, 220-pound “Dougzilla” squaring off with 5-8, 145-pound Millican after a starting-line burndown. Seeing them together this weekend, posing proudly next to the B.R.A.K.E.S. logo adorning the side of Millican’s Parts Plus/Denso dragster is enough to choke up anyone who knows their shared story. Millican, of course, is here this weekend trying to win the race; Herbert is on hand at the Denso Spark Plugs NHRA Four-Wide Nationals as the event grand marshal on behalf of Denso, who also is a supporter of B.R.A.K.E.S., and Millican decided it was the perfect place to add the B.R.A.K.E.S. name in a prominent place on the car. Herbert started B.R.A.K.E.S. –- the acronym for Be Responsible And Keep Everyone Safe” –- in 2008 shortly after a highway accident claimed the lives of his teenage sons Jon and James with the goal to teach teens how to drive more safely and react better to the perils of driving. Despite their bitter past, Millican was an early supporter behind Herbert’s efforts, appearing in numerous Public Safety Announcements and serving as a guest speaker at B.R.A.K.E.S. galas and driving schools. 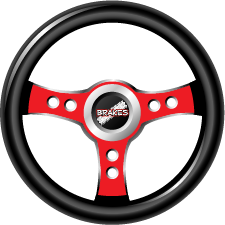 Millican introduced Denso to the B.R.A.K.E.S. program because Parts Plus and Denso do a lot together and Denso has a great interest in preventing distracted driving and autonomous braking. Millican’s deep involvement with he B.R.A.K.E.S. program became even more important to him after his own son, Dalton, was killed in a highway accident in 2015, which only brought the two unlikely and one-time adversaries even closer. “My phone was just blowing up and I didn’t really want to talk to a lot of people,” Millican remembers of that sad day, “but when I saw Doug’s name come up, I definitely wanted to talk to him. He was very instrumental in helping me. People who don’t know, don’t know. Nobody knows unless they’ve been through it. I talk to people all the time signing autographs and they bring up Dalton and a lot of times you don’t want to hear about it, but if that person tells me they lost a child I immediately give them a hug. They know; they understand. It’s a club that no parent wants to be part of. The work that the two do –- and the work of the dozens of other people involved with and volunteering time for B.R.A.K.E.S. –- has paid off many times over. Added Millican, “It’s a fact that 90 percent of all teenagers will have a crash or fender bender of some kind in their first three years of driving, but the University of North Carolina-Charlotte did a study of 20,000 kids who had been through the school the B.R.A.K.E.S. program and found that they were 64 percent less likely to have an accident over a five-year period. It’s unbelievable how satisfying it is to hear that. The B.R.A.K.E.S. 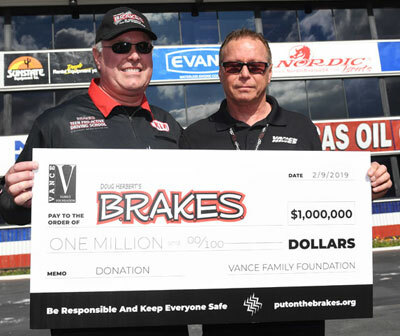 program got another huge lift earlier this year when motorcycle racing icon Terry Vance, who had put his kids though the B.R.A.K.E.S. school, made a staggering $1 million donation to B.R.A.K.E.S. “Kids come in and they’re all pissed off that they have to come because their parents are dragging them there and it’s a weekend b t by the time they leave, they’re all, ‘This was awesome; I had no idea it would be fun.’ It changes the way they think about driving and the way they feel about their parents. Terry told me that it changed his kids’ lives. They act differently, they drive differently, they talk to their parents differently. To me, that’s the part I love, or when I get a letter from a kid that says, ‘Hey, I learned this in your school and it just saved my life.’ That’s what it’s all about.